The EGL Platinum laboratory has been offering colorless and colored diamond grading services to the diamond industry and the public for more than 40 years. The grading is carried out according to EGL Platinum’s strict standards, methods and criteria. 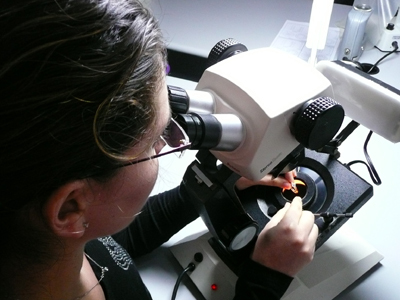 For colorless and near-colorless diamonds, ranging from D to Z colors, the laboratory offers Full Certificate and Mini Cert reports carrying the EGL Platinum logo. All diamond grading reports are verifiable online. For colored diamonds, displaying unique and/or deeper colors than Z, an EGL Platinum Colored Diamond Grading report is available. The reports can be supplemented with a laser inscription for proper identification of the stone and an EGA Appraisal Card for insurance purposes.